Eliminating most odors is a factor that most take for granted daily. We use countless deodorants to counteract smells in our homes, businesses or vehicles. Unfortunately, not all “solutions” solve the odor issue. For example, Hydroxy and Ozone Generators get the job done, but there are many boxes that those systems don’t check off. That’s why ONEighty is here to explain why BioSweep is the Leader in Odor Elimination. Nothing signals trouble in your home, apartment or commercial property like odor. Whether it is a new smell or a residual odor from years of an activity, you need to remove odors quickly and permanently the first time. When searching for the solution, you’re likely to pass by options like ozone and hydroxy generators. While these systems do assist in Odor Elimination, BioSweep is the industry leader in eliminating odor. Here’s how Ozone and Hydroxy Generators don’t make the cut. Ozone – The technology used in an Ozone Generator is driven by ultra violet light. This system uses a fan to export ozone into a room to reduce odors and pathogens. The first disadvantage of this solution is that the treatment times take between 24 – 96 hours. Plus, the number of pathogens it can destroy is limited due to the build-up of ozone in a room over time. Hydroxy – Using germicidal UV radiation, this generator recirculates indoor air through a unit and exposes it to UV light in order to reduce odors and pathogens. Unlike Ozone, this process takes even more time to complete: 72 – 120 hours. Plus, it does not disinfect hard surfaces. While the previous two solutions help reduce odor, it’s not guaranteed. BioSweep on the other hand is a much more reliable source of Odor Elimination. 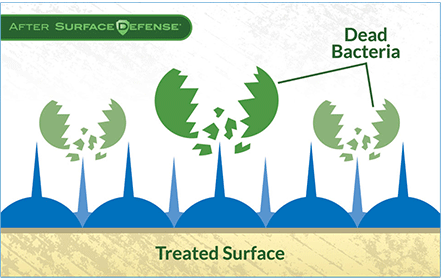 BioSweep uses a unique, five-stage process, advanced PCO, which combines the latest in airborne and surface decontamination removal technology to eliminate the bacteria, which is the cause of most odors. Unlike any other equipment available on the market today, BioSweep’s process does not simply mask odors with chemical deodorizers or weak ozone generators, it removes them. What Should I Expect After The BioSweep Treatment? ONEighty Solutions takes pride in being a certified, industry leader for home and apartment odor removal using BioSweep. Our team provides superior customer service, careful oversight and a positive odor removal experience. Our treatment not only provides you with clean, fresh smelling results but, a healthier home, business or vehicle. Ready for BioSweep? Contact Us Now!